In the upper echelon of American film writing, we have Pauline Kael, Andrew Sarris and Manny Farber, as well as occasional high-profile dabblers like Graham Greene, Robert Warshow and Susan Sontag, but resting high above them all is one name: James Agee. 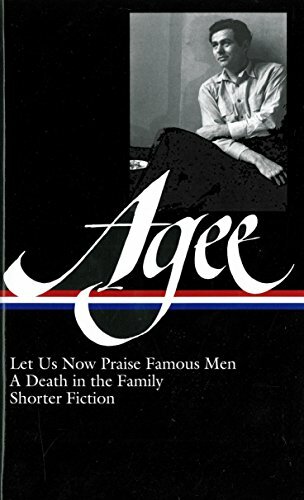 Though Agee (1909-1955) only reviewed films for a short time, for Time Magazine from 1941-1948 and for The Nation from 1942-1948, his writing continues to inspire. He was intelligent, but crafty and funny at the same time; he adopted an attitude appropriate to the medium. He was quotable, but never resorted to hyperbole. He could get at the essence of a film in 100 words, or he could go on for pages about a masterpiece like Chaplin's Monsieur Verdoux. He championed unsung "B" movies, such as those by Val Lewton (The Curse of the Cat People, Isle of the Dead). He could praise filmmakers like Jean Renoir or Preston Sturges, and at the same time, ruthlessly tear away at the flaws in their films. He wrote a long piece on comedies of the silent era that to this day is one of Life Magazine's most popular stories. He was a tireless champion of wartime documentaries, especially those by John Huston, and his enthusiasm eventually won him a job writing the screenplay for Huston's The African Queen. In this new two-volume Library of America collection, cannily assembled by film critic Michael Sragow (The Baltimore Sun), we can see that Agee was, above all, a writer. His genius flowed whether he was writing film reviews, screenplays, novels, non-fiction or essays about cockfighting. This superb, essential, exciting collection "James Agee: Let Us Now Praise Famous Men, A Death in the Family, Shorter Fiction" (2005, Library of America, $35) begins with Agee's non-fiction book Let Us Now Praise Famous Men (1941), including the original Walker Evans photographs, and his one fiction novel, A Death in the Family (1957), which won Agee a posthumous Pulitzer Prize. Finally, we get three marvelous short stories. The second volume "James Agee: Film Writing and Selected Journalism" (2005, Library of America, $40) contains the film criticism, previously collected in Agee on Film Vol. 1, and continues with another sheaf of uncollected criticism -- including a review of Howard Hawks's Red River -- as well as book reviews and essays (ranging on topics from orchids to the aforementioned cockfighting) and his screenplay for The Night of the Hunter (1955). Agee on Film Vol. 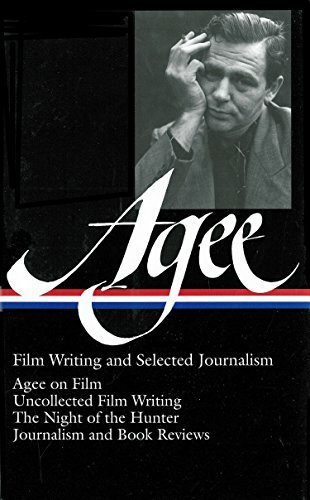 1 was one of the five or six most important film books in my overstuffed library, and these new Library of America editions have not only surpassed it, but they have also broadened Agee, making him one of my favorite authors, period.